The Biblical Research Society (UK) was founded in the UK in 1916 by George Adam Smith as a non-profit making, nondenominational, educational society, dedicated to confirming the authenticity, historical reliability, and accuracy of the Bible, based on biblical, historical, scientific, and archaeological evidence. George Adam Smith was born in 1856 and was educated in Scotland at the University of Edinburgh. 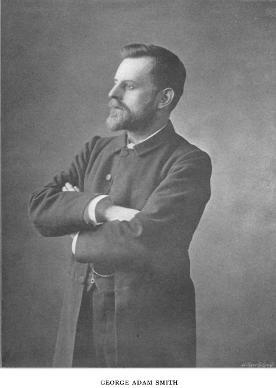 He made two visits to the Near/Middle East in 1880 and in 1891, and was appointed Professor of Hebrew and Old Testament at the Free Church College in Glasgow in 1892. He is perhaps best remembered for his book “The Historical Geography of the Holy Lands” which was first published in April 1894. Many editions of this volume were published until 1935, when the final (26th) edition appeared. For many years this book was regarded by many as the standard reference work on the subject and is still highly popular to this day. From 1909 until 1935 George Adam Smith was the Principal of Aberdeen University and in 1916, he was knighted and became a fellow of the British Academy (FBA) that same year. He died in March 1942 at the age of 85. The Biblical Research Society gives regular lectures to universities, colleges and other educational establishments cost free, although this may depend on the availability of our lecturers residing or working within a fifty mile radius of your location. We also give regular presentations in support of various charities. Please contact our secretary for further information.